In a time when both ends of the political spectrum have sought to bring issues surrounding police to the forefront of public discussion, it’s hard to think the dialogue could get any more polarized. Of course, nothing is impossible in the age of President Donald Trump. The latest ad from the president’s 2020 re-election campaign — which semiofficially began the same day his first term did — appeared online over the weekend and seemed to connect issues with policing to issues with undocumented immigration. Footage from an ongoing trial in California of an undocumented immigrant accused of killing two police officers flashes across the screen before the narrator introduces portraits of the two officers, one smiling benignly and the other stoically expressionless. “Democrats who stand in our way will be complicit in every murder committed by illegal immigrants,” the narrator warns. White House press secretary Sarah Huckabee Sanders defended the statement — which came under attack from Democrats and Republicans alike — on ABC’s “Good Morning America” yesterday as vital for saving lives. 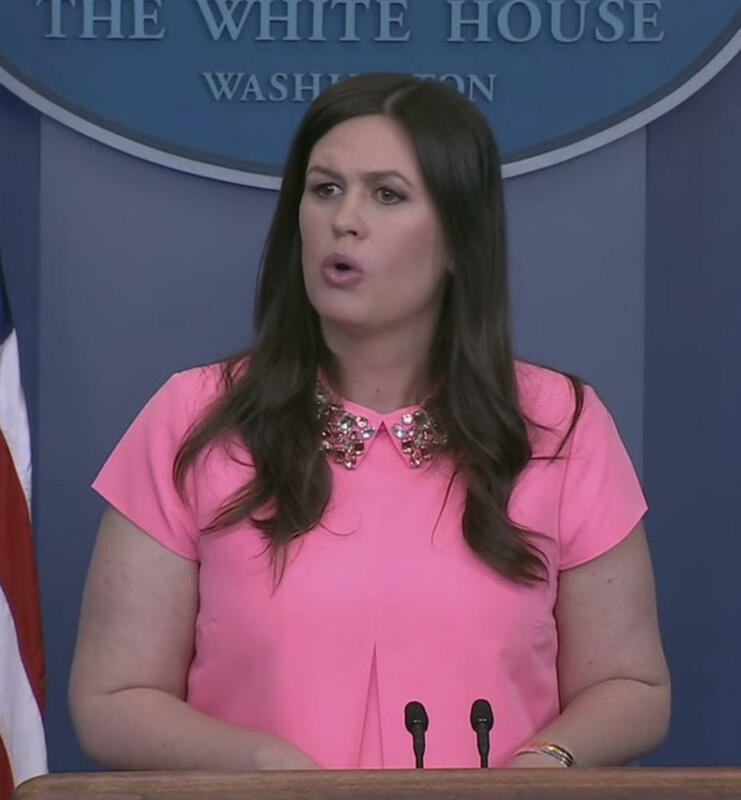 “It’s absolutely appropriate for the commander in chief to do everything he can to make sure he’s protecting our citizens,” Sanders said. But it’s questionable how much anyone — police, immigrant or otherwise — stands to gain from the totally needless politicization of police killings Trump seems intent on emphasizing. And it’s even less helpful for the pursuit of justice and the social good to care more about some kinds of murder — like murder of a police officer or murder by an undocumented immigrant — than others. One of the most obvious reasons Trump’s focus on murders committed by undocumented immigrants seems likely to do more harm than good stems from the fact that his rhetorical suggestions aren’t backed up. Statistical evidence fails to show that undocumented immigrants are a substantial threat to Americans’ lives or well-being. The United States has seen its population of undocumented immigrants more than triple since 1990, yet the nation’s violent and property crime rates over the same period have dropped precipitously. While this correlation doesn’t necessarily imply causation, it does call into question the idea that undocumented immigrants are a statistically relevant threat to the lives of police officers or other Americans. On the contrary, National Law Enforcement Officers Memorial Fund President Craig Floyd told Fox News in a December 2016 interview that the majority of people responsible for police slayings in 2016 across the country were white and male. Of course, that’s not to say that politicians should turn around and begin to demonize white men. Policing issues are complex, and no single factor completely explains how to address violence from and against police. However, it is clear that many of the those who put police on a pedestal are more interested in using officers as political pawns and less interested in actually protecting officers and the people those officers are supposed to protect. Far from demonizing vulnerable communities, Trump would work toward improving relations between immigrants and officers if he truly cared about blue lives. And while that might be too high an expectation for such a do-nothing president, he can at least start by reversing course on this atrocious ad.